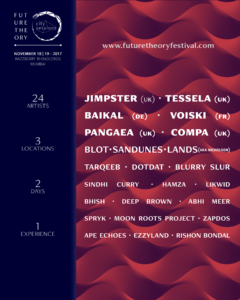 I had the pleasure of playing at the Future theory Festival a couple of years ago at the magical Fort Jadhavgadh outside of Pune. This festival is very dear to my heart because in my opinion this was the first festival in India to curate an authentic underground line up from both within the country and outside of it. 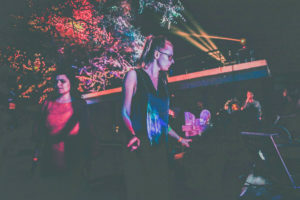 In the past there have been festivals but the line ups have never been focused on house and techno and have always had a commercial edge to them. 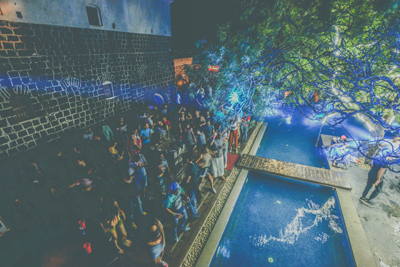 In other words, this was the fist time that we were getting really edgy and cutting edge artists from the house and techno genre to come under one roof. It was a real community building experience and was the beginning of a new movement based on an ideology of quality content rather than mediocre programming, compromise and commercialism. I had a great time playing at the pool area and that too on vinyl. I was very happy that I had been booked to play a special vinyl set. For me, this was really encouraging that a festival wanted me to play records and showcase my edgier music. I got to hear great artists and soak in some inspiration. Overall, it was a memorable experience and was a honour for me to support such a top movement. 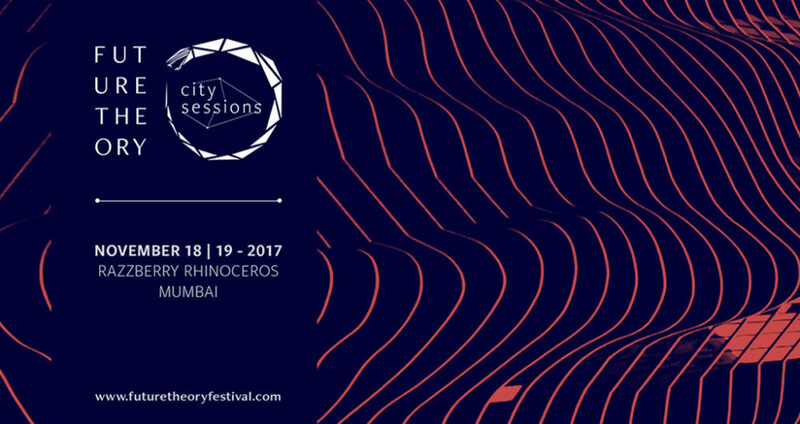 Based on my experience of the festival, i am thrilled to be part of the city sessions party in Mumbai. What a line up. Cant wait to hear Jimpster, who happens to be one of my all time heroes. Super booking there! In Addition i am really looking forward to hearing Sandunes as well. I heard her last year at EDC India and she was fire! Also looking forward to hearing Sindhi Curry, Deep Brown, Likwid, Blurry Slur and Abhi Meer. I am a little particular about what sounds i like to digest and what i don’t want to hear but any lineup that has 5-6 artists that i love is a great line up for me. Also happy to discover artists I may not know about. 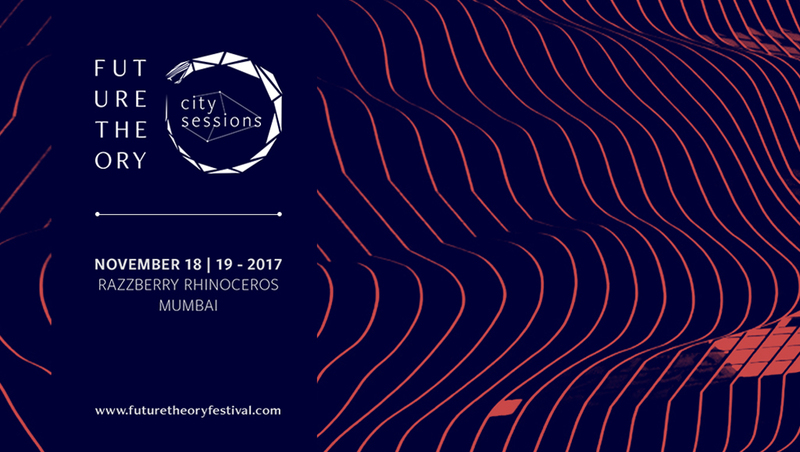 All in All Future Theory City Sessions is a great idea because no one has to spend a big sum of money to go anywhere. Its in the heart of the city at a great venue and the event is about creating an experience without leaving your city! Great Idea and all great ideas in our community should be encouraged and supported to the max, especially when the intention is to promote quality House and Tech. 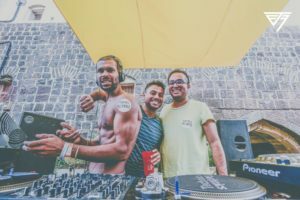 Future Theory Festival Pune 2016Our first edition of #FTF was a whirlpool of emotions. Here is a peak into the weekend that unfolded at Fort Jadhavgadh. Stay tuned for announcements for our 2016-17 calendar.